Have you ever wondered why Steam's customer support is so awful? I sure have, especially over the past few weeks, which I will say no more about. 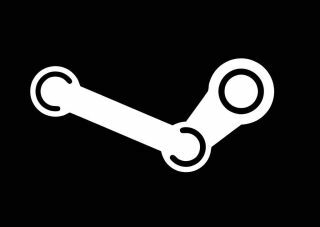 Fortunately, Valve is aware of just how bad the situation is, and while it may be cold comfort for anyone currently waiting for help with a screwy Steam account [ahem], it's got a plan in place to make things better. Erik Johnson of Valve told Kotaku that there are a few issues contributing to the long waits for responses from Steam support. The need to come up with new software "to build a new support system," including the option to provide refunds, required significant amount of work. The sheer load caused by the huge number of transactions created by games like Dota 2, Counter-Strike: Global Offensive, and Team Fortress 2—which, yes, are Valve's own creations—is also a factor, as is the ability to trade and sell items on the marketplace. Efforts to find relief through third parties haven't gone well either. "The thing that’s interesting is, you go out to third-party support providers, and—at least in our experience—most of them wanted to sell you ways to reduce the number of people currently waiting in support, but they weren’t very good at selling you ways to solve customer support issues," Johnson said. "I think we’ve all had that experience of, ‘I get it. You’re trying to get me off the line.’ We’re not super interested in providing crappy support in volume." As a result, Valve has taken to training people itself, which leads to better results but also takes more time. The goal now is to have wait times reduced to an "acceptable point" by Christmas. "It's getting better internally; it just hasn't yet translated to great support for users," Johnson said. "We're going to get there, though." Johnson's declaration of a grand plan comes half a year after an earlier conversation, also with Kotaku, in which he said Valve doesn't "feel like our customer service support is where it needs to be right now," and was "doing a bunch of technical work on thinking through" how to improve it. In this more recent interview, however, he admitted that the situation has actually grown worse since then. In spite of that slide, it's heartening to hear that it's being worked on, even if we have to take Johnson's word for it at this point. I suppose the upside is that at least it can't get worse than it already is. Right?